"Robin was like nothing I'd ever seen." HBO has debuted an official trailer for Robin Williams: Come Inside My Mind, made by doc filmmaker Marina Zenovich (of Richard Pryor: Omit the Logic, Water & Power: A California Heist). This doc originally premiered at the Sundance Film Festival this year. It's a loving tribute to the late Robin Williams, a comedic mastermind and beloved actor, who touched all of our hearts in some way through his work, before passing away in 2014. The doc features new interviews with Lewis Black, Billy Crystal, Pam Dawber, Whoopi Goldberg, Eric Idle, David Letterman, Steve Martin, David Steinberg, Zak Williams, and more. It also has tons of archival footage that covers his entire life and career. I saw this at Sundance, and while it is deeply moving and heartfelt, it's a more straightforward doc and not as clever or unique as I was hoping. That said, it's worth seeing just to celebrate Robin Williams once again. 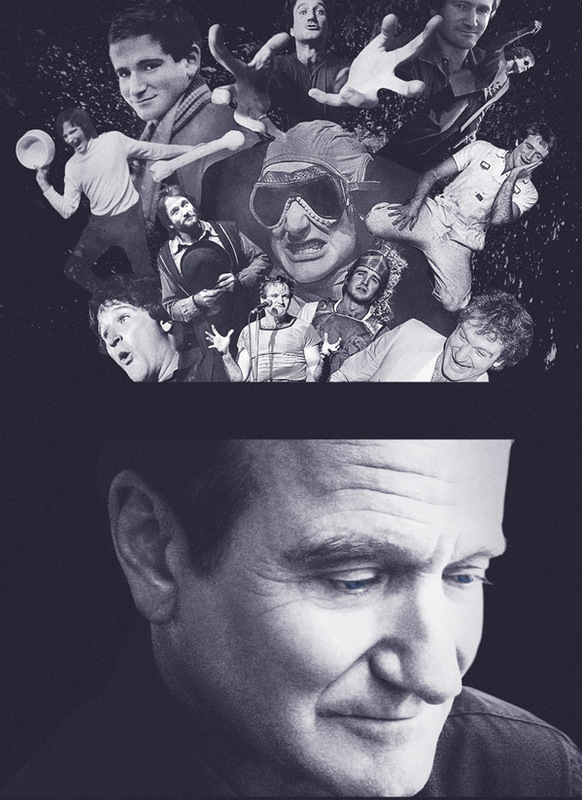 A funny, intimate and heartbreaking portrait of one of the world’s most beloved and inventive comedians, Robin Williams: Come Inside My Mind takes us through his extraordinary life and career and reveals what drove him to give voice to the characters in his mind. Told largely by Robin himself, with a wealth of never-before-seen footage, and informed by in-depth interviews with those who loved and knew him, the film features Billy Crystal, Eric Idle, Whoopi Goldberg, David Letterman, Steve Martin, Pam Dawber, Zak Williams and many others. Robin Williams: Come Inside My Mind is directed by doc filmmaker Marina Zenovich, of the films Who Is Bernard Tapie?, Roman Polanski: Wanted and Desired, Richard Pryor: Omit the Logic, and Water & Power: A California Heist previously. This premiered at the Sundance Film Festival earlier this year. HBO Docs will air Robin Williams: Come Inside My Mind starting on July 16th.